Okay, so imagine yourself as an outspoken plus-size teenager who lives in a small town that's obsessed with beauty pageants. Then add a former beauty queen as your mom who runs the local teen pageant, with some people mistaking your best friend for your mom's daughter (not you). This is Willowdean Dickson's life. This new Netflix film (which comes out December 7) is based on the bestselling book of the same name by Julie Murphy. It also has a sequel titled Puddin', in case you want a head start and can't wait to know what happens next! 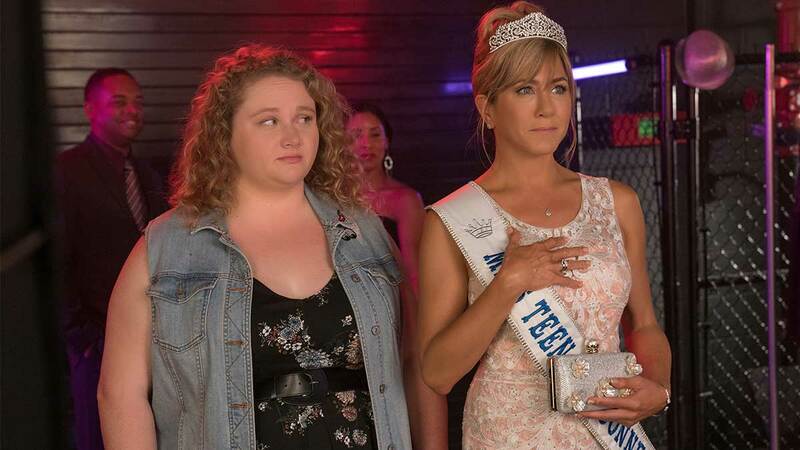 The film adaptation stars Jennifer Aniston as small-town celebrity Rosie Dickson and Danielle Macdonald as her daughter Willowdean whom she nicknames "Dumplin'." Deciding that "enough is enough," Willowdean decides to join the local Miss Teen Blue Bonnet pageant as a protest—a protest in heels. She wants to prove that anyone can win the pageant. What she doesn't expect is for other "non-conventional" beauties to follow in her footsteps and sign up too!